Understand the best broadband modem router for your home. Finding Best Router for Fiber Optic Connection: Quality Versus Price. Fibre (UFB) is by far the most reliable internet in New Zealand and more stable than any other connection type. Being capable of reaching the speed of 1 Gbps both upstream and downstream makes it the optimum choice for multi-user households and businesses. Still, what many tend to forget is, that in order to get the best out of your fibre connection, a good router is an absolute must. So, what is the best router for fibre optic connection? Compare routers for fibre optic connection today! Understandably, many will go for a cheaper option, but in the long run, this might prove to have been a bad idea. Why? Simply because nearly all potential connection issues are related to a cheap router. Moreover, the expected lifespan of a cheap router is up to three years. Good routers, on the other hand, will be up and running for over five years. Well over five years if you keep them in good condition, we might add. 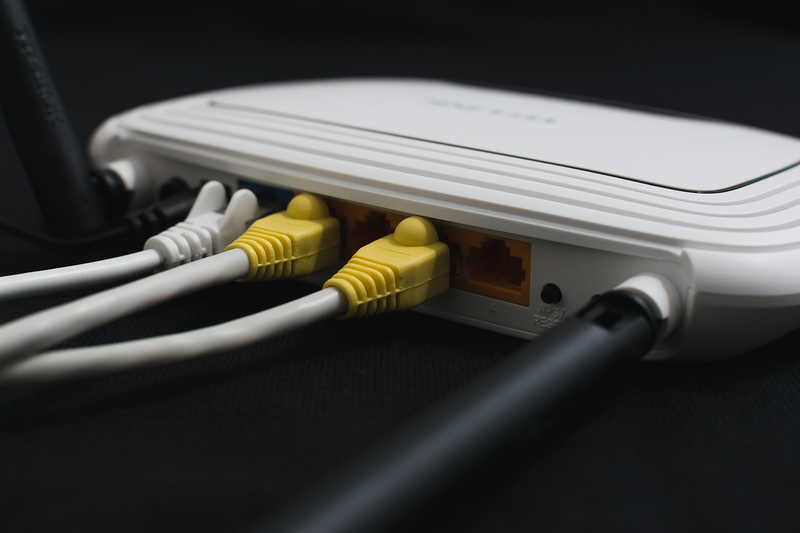 Contrary to common belief, finding the best broadband modem router might not necessarily be a difficult task. When comparing the options, make sure to take into account the number of users to access the web. The more users, the slower the connection, so you will wish to consider getting a router with bandwidth control. The option allows for assigning a specific maximum bandwidth for each device consuming the connection. You can compare fibre routers at Glimp to get started. According to UFB providers, the best affordable option is TP-Link Archer C2. However, this holds true for standard fibre connections. Faster UFB packages call for better modems to keep up with maximum speeds. TP-Link Archer C9 and Netcomm NF8AC are worth investing in if your fibre package has higher speeds. The choice of a router is also linked to the actual fibre broadband provider NZ. Some of them offer free routers, others - additional benefits. As a rule, faster packages come at bigger discounts and so do long-term plans. Make sure to take all these factors into consideration before deciding on a single router. Best known fibre providers in New Zealand include Slingshot, 2Degrees, Orcon, Spark, Trustpower, and Vodafone. Don’t forget local ISPs, notably MyRepublic and Stuff Fibre. Other local businesses also come to mind, so make sure to check them out, as they often offer better regional deals than nationwide ISPs. Best modem settings depend on many factors. The absolute first in case of WiFi is the positioning of the router. Make sure to place it within line of sight of the devices accessing the web and well away from electronics. Household gadgets are known for interfering with the WiFi signal, and so is your neighbour’s WiFi. If you notice your connection speed getting slower, try changing the WiFi channel - 1, 6, or 11 usually do the trick. Getting the best router for fibre optic connection is helpful in this regard, too. Better routers offer more options, are more stable and less affected by interference. Anyone using cable connection knows the pain of cable management, but bear in mind that Ethernet connections keep the signal strong. Running the wires over your house may be difficult, but there is a solution to that, too. Consider Powerline adapters, especially if signal weakness persists. Contact your broadband provider NZ for optimum settings. More often than not, your ISP will have online instructions set in place. Navigate the ISP’s website to help you get started with setting up your router. Tutorials are user-friendly, with screenshots to make things even niftier. Finally, protecting your internet connection is of utmost importance. Not only will it keep unauthorised users away, but it will also prevent phishing. Most routers come with a preset password, but it is recommended that you change it to a stronger one. If unsure how to do that, consult the manual or look it up online – again, your ISP’s website is the best place for this. Your broadband provider NZ also offers customer support; contacting them in case of any doubt is fast and easy. Still wondering about the best router for fibre optic connection? Let’s take a look at additional recommendations. Picking the best router, as stated above, calls for considering several factors. If you are willing to invest a bit more into your future online happiness, you will find no problems expanding your views. The offer is rich indeed. We will hereby name some of the recommended routers for UFB: Netcomm AC1600, Netcomm NF4V, ASUS RT-AC66u, TP-LINK AC1900, Huawei HG630b, Huawei HG659b, and Technicolor TG587n.